We have seen increasing amounts of traffic from Facebook and increased mobile conversions during the festive period over the last few years. At the beginning of this year, Facebook made some changes to their algorithm which saw people see less organic posts from the brands they follow in their timeline and more focus on family and friends. This has led to a considerable increase in reliance on Facebook advertising from brands, to increase visability and looking to leverage the social media network for traffic. TIP – Prepare your Facebook sales and marketing strategy for the festive season by using your customer data and audience insights with Facebook Ad tools. Facebook pixel and SDK; a code to add to websites and mobile apps which measure your conversions of existing and new customers. Facebook Audience Insights; data on customer demographics, locations, interests and purchase patterns of potential customers. Your data from previous years can provide insight into the sales you had, customer markets and segmentation. This can be used to build your Ad targeting for this year, along with your shopper data. Use these to segment your AD’s and, break it up into loyal customers (frequent shoppers), new customers (not familiar with the brand) and existing customers (familiar with the brand but not recent or frequent customers). Set your Christmas marketing goals and KPI’s and track them in Facebook Ads Manager to ensure your campaigns are performing. If the data show’s some are not performing you can stop them rather than letting them run and waste budget. You might need to alter your goals or target audience to find one which works. Additionally, some image types perform better than others, if you are unsure, try split testing with your targeting and images. 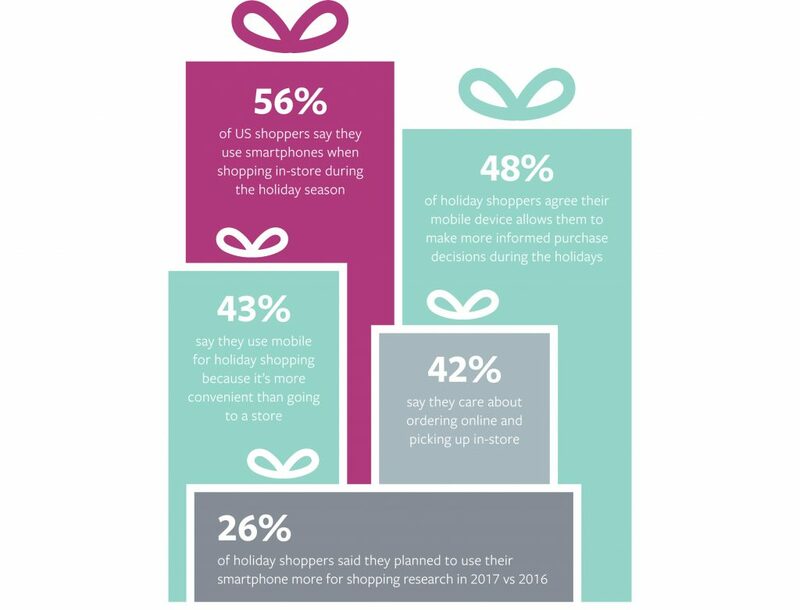 Look at your budgets, see what you want to spend and where taking into account sales in the run-up to Christmas such as Black Friday and Cyber Monday. Allocate this across the months up to Christmas, not forgetting the critical period just after Christmas. If you underspend at any point, this can be added to boost another AD, so it’s good to keep an eye on the AD spend to make sure you don’t overspend too early. Build your Christmas AD content and creatives, testing different image variables in the run-up to the main shopping period to see what images or video’s work the best. Remember if your targeting, different genders with different posts, the images should be altered accordingly rather than using the same ones. Or if your targeting different age groups, look at the tone of your AD’s to make sure it’s something that would resonate with your target audience. As mentioned before, split testing is also effective when creating images to see what designs perform better. Start early and look at teaser AD’s, this is also an excellent time to test your AD format’s, tweaking any which perform poorly or don’t entirely pass Facebooks guidelines. Also make sure you highlight your sales and deals, Black Friday and early winter sales using budget already allocated. This is a significant time as a lot of people are looking for savings in the run-up to Christmas when buying gifts. Last minute AD’s just before Christmas will also help you capture traffic, especially if you offer guaranteed next day delivery, you can keep these running right up until the 23rd. Then after the Christmas rush is over, its time for you post Christmas sale AD’s to run. Preparation is key to a successful festive season for any retailer, make sure your Facebook AD’s keep up. For more blog posts, news and information on digital marketing please sign up for our newsletter below and of course, follow us on social media.